John is Co-Founder and Managing Partner of Relay Ventures, an early stage venture fund exclusively focused on mobile connectivity. 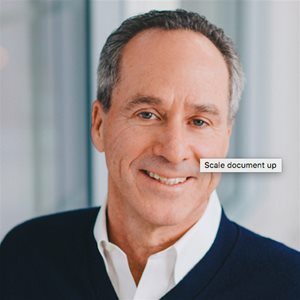 During his tenure in the venture capital business, John has gained extensive experience assisting entrepreneurs shape their vision and capital plans into successful long term growth programs which typically involved an aggressive financing strategy. John has a history of assisting entrepreneurial companies through significant growth and eventually to the public markets. His ability to work with and advise senior management of investee companies, as well as his skills in filling supporting roles where existing management lack the experience or skill set, has been vital to the success of past investments. John currently serves as a director of Nexage, Fuse, Digby, Achievers, ClearFit, Blue Ant Media, mDialog, InPowered, TribeHR, Difference Capital Funding, theScore, and OCAD University. In addition, John serves as an advisor to The Next 36, Ryerson Digital Media Zone, and OCAD University’s Imagination Catalyst. John previously served on the board of: Aepona (Acquired by Intel May 2013), Fun Technology (IPO 2003, acquired by Liberty Media 2006), Q9 Networks (IPO 2004, acquired by Abry 2008, Bell 2012), Descartes (IPO 1997), Triple G (IPO 2001, acquired by General Electric 2003), QuickPlay Media (acquired by Madison Dearborn, 2012), Bioscrypt (IPO 2002, acquired by L-1 in 2008) and Sirit (IPO 1998, acquired by Federal Signal 2010). John is a Chartered Financial Analyst and received his Bachelor of Business Administration degree from the Schulich School of Business at York University. John is based in their Toronto office.